three best friends head out on a "best friend camping trip" that goes hilariously awry in Caitlin Turnage's brand new play. 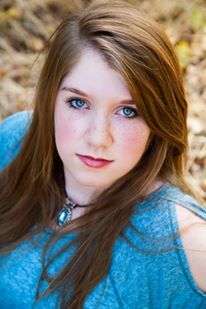 Caitlin Turnage (Playwright) holds a degree in B.F.A Playwriting and Dramaturgy from the University of Houston. She's currently pursuing her masters at Texas State University. She's a co-founder of Ignition Theatre Productions a student run group operating out of the University of Houston. Her play "It's a fine day for a picnic" was featured in the first ever University of Houston ten-minute play fest, and her play "To Charlie" was featured in last years festival. Recently she was named as a National Finalist for the Gary Garrison National Ten Minute Play Contest for her play "Jigsaw Cactus" which was read in Washington D.C. as part of the Kennedy Center American College Theatre Festival. The play also went to L.A. where it was performed as part of Scribe Stages "Motel Plays: Lost and Found". Caitlin's one-act play "Routine" was named a National Semi-Finalist of the John Cauble One- Act contest, her one-act "In a Darkroom, The Lord Knows" was recently named the recipient of the National John Cauble Short Play award. Her play “The Holes in Human Flesh” was selected to be developed at the ATHE conference in 2017 and selected as a participant for the 42nd Samuel French OOB festival. She’s a past attendee of the Dorsett Theatre Writer's retreat in partnership with Theresa Rebeck and the Lark.